Our guest blog today like last months looks back to a childhood holiday spent on a beach. However this month rather than Crooke in Waterford we get to accompany the Lloyd family holidaying at Duncannon Co Wexford and there is a Waterford connection too. I’d like to thank my good pal and fellow blogger Andrew Lloyd for this account. Apart from us and our partly mythical beach-gear, the beach in the painting was empty as far as the Fort on the headland and the sky was full of scudding cloud. So it must have been the Easter holidays. 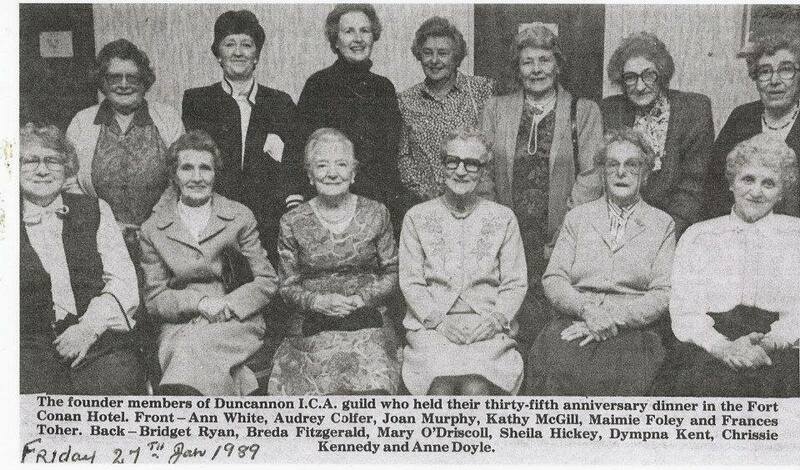 We came almost every year, often at Easter, to visit an ever diminishing store of elderly female relatives in Wexford and on the shores of Lough Derg in County Tipp. 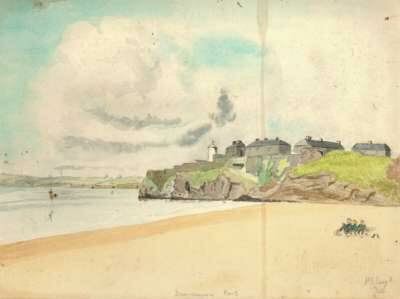 In Wexford, we would invariably stay in The Hotel, Duncannon. My father had connexions on both sides of Waterford Harbour. He had grown up in Dunmore East, where my grandfather Wilfred Lloyd was Harbour-master from the foundation of the state until he retired in 1947. My father was thus the window vandalising Llewellyn who preceded January’s guest-blogger David Carroll. Before he was The Gaffer on Dunmore’s quayside, my grandfather had restlessly travelled the world, serving in the army in the 2nd Boer War and then seeking his fortune in America. He made, and lost, several fortunes out in the Wild West. At one point, he won a section of the Hollywood hills in a card-game, but could never hold on to assets; he was always buying drinks for pretty women or everyone in the bar and really wasn’t very good at poker. The grandfather could never pass a beggar in the street without giving something, remarking “I’ve been like that myself, m’boy, and may be again”. Between bouts of top-hat-and-tails, Grampa had indeed been a hobo, riding the rails to the next adventure. He was in San Francisco in 1906 when the city was destroyed by the earthquake and subsequent fire. We don’t know if he was living it high at the time or currently without funds, but you may be sure he was kind and made himself useful in the aftermath of the disaster. My father was an only child and idolised this charismatic chancer. I’d love to know more about Grampa but you could see His Boy get sacked by the wrench of loss whenever he talked about his Dad, so we didn’t like to press. My father is dead 16 years now, so that gate is closed. Meanwhile back at Duncannon in the 1960s, we spent every unrainy moment on the beach or in the dunes: making bastions against the incoming tide, daring each other to touch the raw-liver-coloured sea-anemones or just turning blue and white and wrinkly in the sea. The strand there is split by a modest stream and occasionally, by Herculean efforts with a small tin bucket and two tiny shovels, we were able to dam this rill-beck-or-leat to create a wee bit of a pond between the dunes. It was, of course, unsustainable. The water kept coming through the drain on the other side of the road and we shovelled quantities of wet sand atop the berm as the water rose. But with no Little Hans Brinker (the Hero of Haarlem) to put his superhuman finger in the dyke, eventually a small failure would grow to a catastrophic collapse. We achieved dam-nirvana one fine Spring day when an elderly couple walked their dog to the far end of the strand while it was artificially dry from our exertions, and couldn’t get back after the inevitable hydro-engineering failure had re-established the river. Pat Baldwin, my father-in-law lives in retirement in Tramore but was born (1925) in Cardiff. His father came from Knockroe just behind Passage East on the Waterford shore but left to become a driver for Pickford’s after WWI. By another weird coincidence, we washed up in another Knockroe, having spent the last 20 years in a townland of that name on the flank of Mt Leinster. A couple of years ago, it was Pat’s 90th birthday and Andrew and Deena of Tides’n’Tales gave the extended descendants of the Baldwin’s of Knockroe a guided walk around the family heritage, finishing up with lunch at Jack Meade’s pub on the Cheekpoint Road. I met a lovely woman, an in-law of the in-laws, who hailed from across the river in Wexford. I mentioned my childhood days on the beach at Duncannnon and the sand on the bedroom floors in The Hotel. She was well familiar with the lightness of Nan Doyle’s scones and sponge-cake or her deliciously fat-heavy fries. She had worked in The Hotel as a teenager during school holidays and remembered Nan far better than I did. Six degrees of separation?? Not at all: two degrees is plenty for anyone in Ireland. 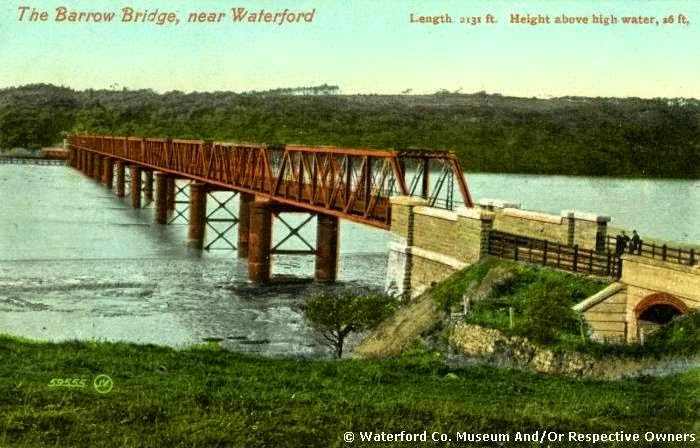 111 years ago today a special event train carrying up to 500 invited guests travelled across the the Barrow Bridge to signify the opening of the South West Wexford Line. It would mark a new departure in Irish Sea travel for citizens of the south of Ireland and be a vital link for Wexford in the years to follow. It was certainly a key architectural feature of the harbour in my upbringing and still one of the most amazing structures we have hereabouts. Built between January 1902 and opened in July 1906 it served the railway faithfully and lived up to the designers and builders earnest efforts. It forded the river Barrow between Drumdowney in Co Kilkenny and Great Island in Co Wexford. 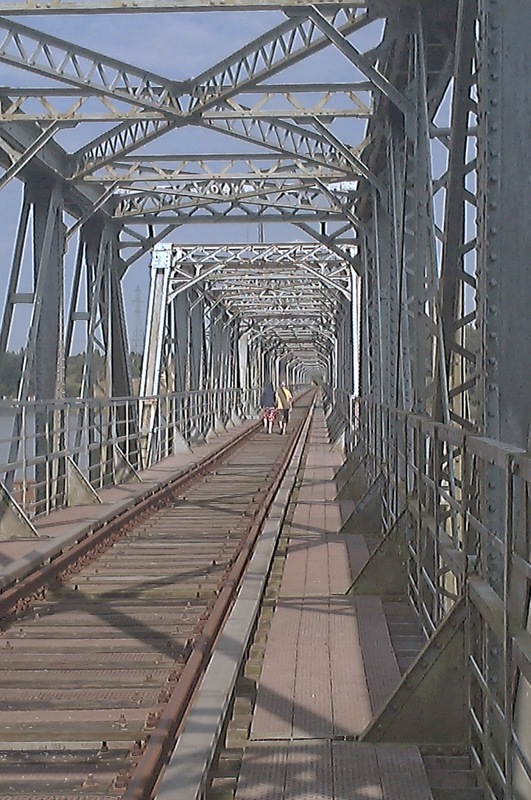 In doing so it connected the railway lines of the south of Ireland to Waterford (via the Suir Bridge) and hence on to Wexford and the new Rosslare harbour and the cross channel ferry service. Growing up it was a wish of mine to take the train. My mother often got nostalgic when she spoke about it. As a young emigrant to the bright lights of London she remembered passing over the bridge on the way to the boat train in Rosslare. Her last outbound trip was in the winter of 1963. 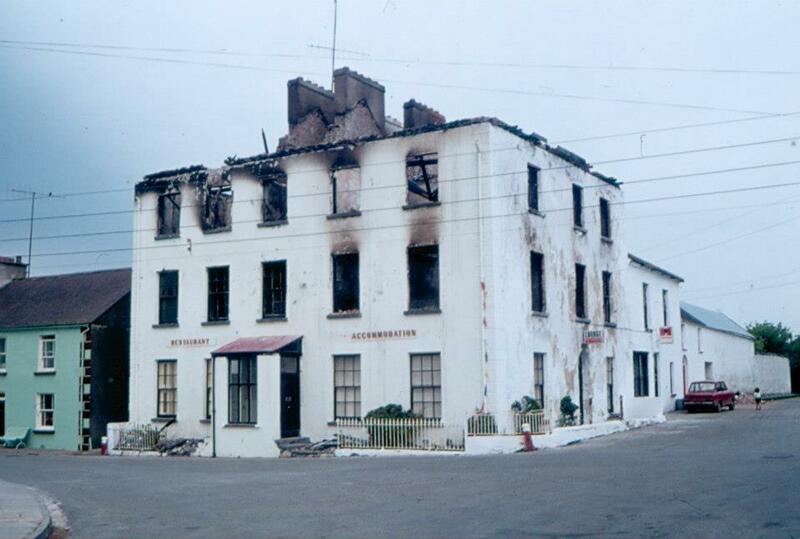 Having come home for the few days of Christmas she returned with her uncle, Christy Moran, and several others from the village including Pat Murphy and Charlie Hanlon and recalled a bonfire lighting in the village, a traditional local custom of farewell, a reminder of where the homefire burned. She returned to Cheekpoint in late 1964 to be married, and never crossed it again. Initially buses and then cheap air flights started to bite into the viability of the line as a transport option. But a mainstay was the sugar beet industry. I worked with a man originally from Thurles some time back. We got talking about the beet trains and the autumn beet campaign that saw trains arriving daily into the town and the entire area a mass of diesel fumes as anything with a trailer was used to ferry beet from the train to the sugar factory. I related how the same trains passed through our lives. Wexford being the centre of the countries sugar beet growing and the beet trains which loaded at Wellingtonbridge had to cross the Barrow to get on to Carlow, Midelton and Thurles. I recalled one day sitting on the back step and a beet train engine almost to the swing section of the bridge before the last beet truck clattered onto the bridge. I lost count of the trucks but it was almost 2000 feet long in my estimation. All this was to change however and the last of the beet factories were shut down in 2006. The question remains though, did the beet factories ever need to close? With the end of the beet industry and the decline in passenger numbers many fears were expressed for the viability of the line. Trends in sea travel had changed with travellers now encouraged to take a “carcation” Commuter passenger numbers were dwindling too. The car was king. The Passage East Car Ferry which started in 1982 may have also been a contributory factor. Although ships still pass through and many is the time we walk it, I never did manage to cross it in a rail car. For now, all I can manage is this virtual roll of the wheels, There have been efforts to revive the line, but it would appear the necessary funds are not forthcoming. Which brings to mind the wonderful Waterford Greenway and surely another viable option for this magnificent architectural gem and related and still accessible railway line. If nothing else it would ensure the route stays open. And the economic argument of the draw of such infrastructure in terms of reviving rural villges and towns is certainly in evidence in Waterford at present. This ship is manned with sixty men…We had (through God’s mercy) a quick, pleasant, and dainty passage, for within twenty-six hours after we parted with Ireland, the utmost point I mean of Irish shore, we were landed at Minehead in Somersettshire. As I said, fascinating. But what can take from the account? 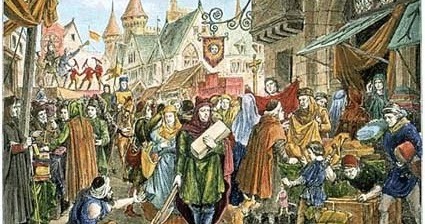 Well, the Ninth Whelp was part of a fleet of naval ships stationed on the coast of Ireland aimed at protecting the crowns interests and guarding against outside influences on the Irish. (2) Here’s a fascinating piece on the background to the Whelps including the ninth. 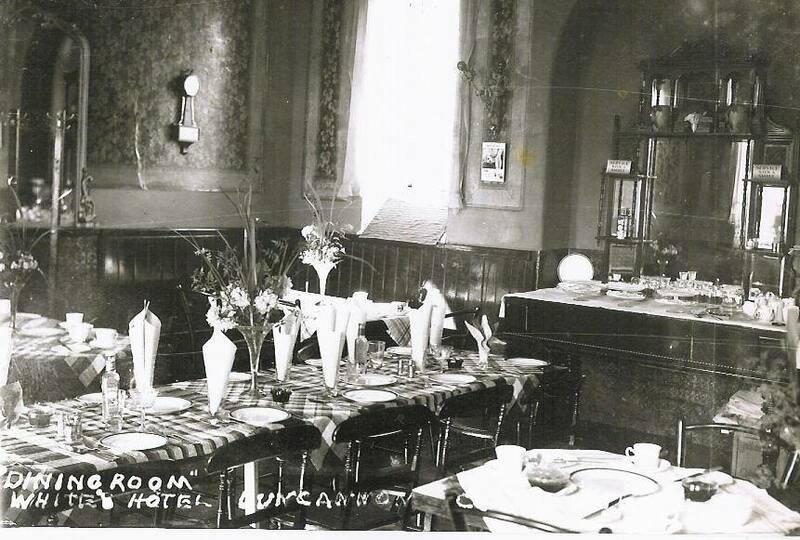 “Blankets and woollens from Yorkshire, silks from Macclesfield, linens from Belfast and Lancashire, carpets from Kidderminster, cutlery from Sheffield, hardware from Walsall and Wolverhampton, china and earthenware from Staffordshire and other counties, cotton stockings from Tewkesbury, lace from Buckinghamshire and Devon, trinkets from Birmingham and London, ribbons from Coventry, buck and hog skins for breeches, hats and caps, millinery, haberdashery, female ornaments, sweetmeats and multitudinous toys from various quarters arrived in heavily ­laden wagons and were joined by equally large contributions from the chief industries of the district. To these again were added nearly all the travelling exhibitions and entertainments then in the country – menageries, circuses, theatres, puppet shows, waxworks, flying coaches, rope-dancers, acrobats, conjurors, pig-faced ladies, living skeletons, and mummers of all sort who attracted patrons by making a perfect din. 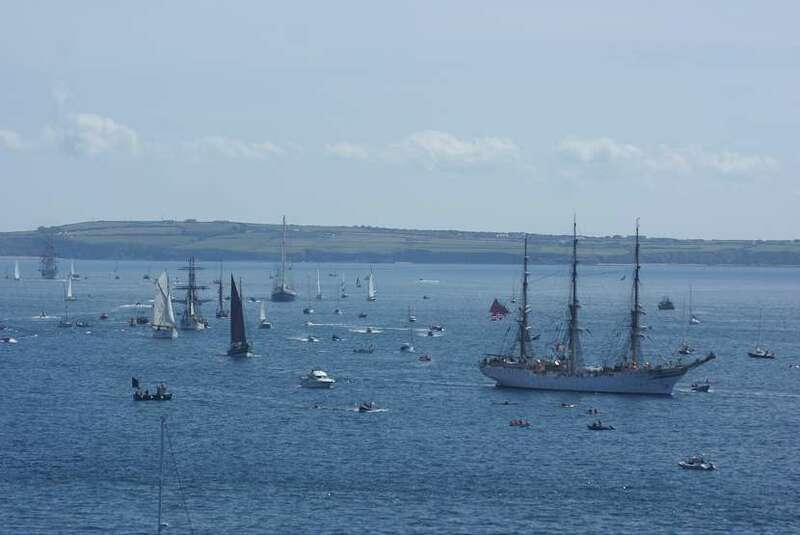 I don’t think any modern reader can imagine the scene, except perhaps if they have seen the parade of sail which we were so lucky to host here in the harbour twice as part of the Tall Ships Festival of 2005 and again in 2011. Once again however, we have an example of our harbours rich maritime past. One also wonders how many other flotillas departed for similar events down the years, that we had not the fortune to be captured by a writer. John Roberts 1714-1796 was born to a Waterford builder and architect from who it must be imagined he first learned his trade, before heading to London to further his studies. Apparently whilst there, he met and eloped with Susannah Maria Sautelle (1716-1800) and the pair had 24 children. 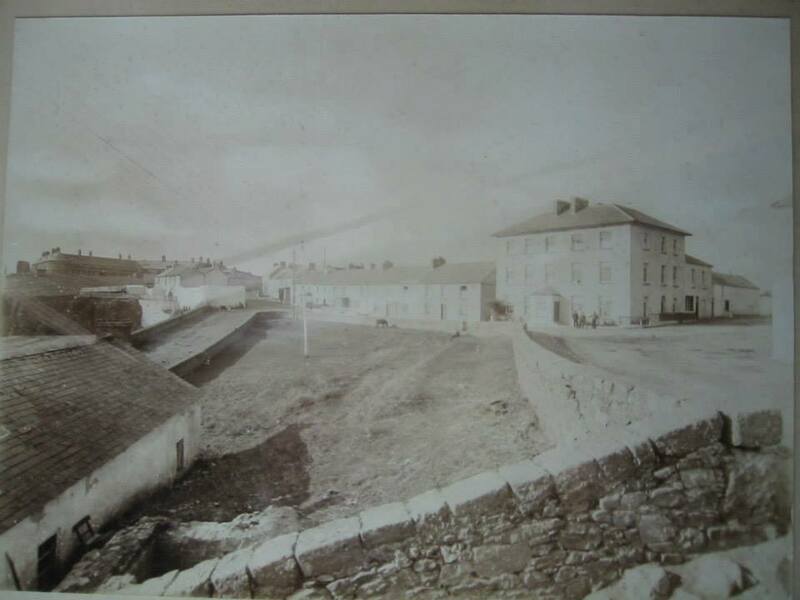 Susannah was the daughter of the Huguenot and the couples first home on returning to Waterford was in Patrick Street. to oversee the completion of what we now know as the Bishops Palace. and some days later he died; 23rd May 1796.
other architectural gems would Waterford boast. I recently returned from my first adventure on walking the Camino de Compostela. It was a ten day trip that my son Joel and I started from James Rice’s tomb in Waterford with a plan to walk from St Jean Pied de Port in France to Logrono in Spain. I have had so many asking how it went I decided to transcribe some of those thoughts I committed to paper as I went, in the hope that it might assist others thinking of setting off. Its not so much my personal thoughts as some nuts and bolts reflections on the actual route. Firstly I have to say that getting there was so easy. We departed Dublin airport on Friday 16th on a 7.10am flight to Biarritz in SW France. We stepped off around 10.10 (adding an hour for the time zone) and walked through the customs area and to the first bus stop outside on the left. There we waited about a minute and a bus pulled up, with an electronic message board stating “Bayonne Gare” – Bayonne Train Station, which was where we would get a train to St Jean Pied de Port. It cost €1 and the bus swept us along with its final stop outside a beautiful old ornate building which housed the station. As we walked in the electronic ticket booth was on our right, and it gave an option for selecting your preferred language! €20.40 for two single tickets. It departed within ten minutes filled with Camino bound walkers. Fifty minutes later we arrived at St Jean Pied de Port. Although we were unsure of what to do we opted to follow the crowd and we were led directly to the Camino office in Rue de la Citadelle where a helpful American gave me a very useful guide of all the hostels (albergues) along the route along with the costs and the services they provide. A credential was available here for €2, but as I already had mine posted from the Camino Society of Ireland, he stamped it and wished me my first Buen Camino, the traditional greeting or salute to fellow pilgrims as you pass along the way. The credential was our pilgrim passport, without which you could not get into a pilgrim hostel, and as you went along there were many opportunities to pick up a stamp, churches, hostels, cafes etc…each one becoming a little treasure or keepsake, imparting a specific memory of a place or time. Outside Joel and I discussed what to do. It was about noon and although were were tired we opted for some lunch and to get a head start on our journey heading off to Orrison about 8km into the foothills of the Pyrenees. A beautiful stroll and although steep coming near the end, we covered it easily. The hostess at the albergue was shocked when I stated we had not booked ahead, but she managed to find us a bed in an overflow building at 1km back down the hill. (we never booked ahead trusting we would get a bed and it was always so, but perhaps at a busier time of year this would be foolhardy) It cost us €15 with cold showers but we slept fine and at least we had a good start for the next day. The hardest part was retracing our steps. Having climbed so far, we both resented giving up the yardage, but a bed is a bed. We were off at about 6.30am, picking up a quick coffee at the main albergue to give us a caffeine lift. The climb was steep, but the views stunning and around each bend or hill top was a new and more magnificent scene. Large birds of prey swept over our heads, seven at one specific time. I speculated that they were Condors. The cattle, sheep and horses grazed on the scarce grassland and shepherds were a constant occurrence, checking their livestock from what I imagined to be temporary homes on the hill tops. A distinct feature were bells on the necks of cattle and horses and the chimes were a companionable sound to the stillness of the hill top. Although I found the climbing hard, Joel was in his element, even diverting off the path to nearby hill tops for an extra challenge, while he waited my catching up. Finding the path is easy, the signage is excellent, even without a map, but we do have Brierleys guide for reference which is excellent. It is essential also in giving a guide to the climbs (up or down) on each days journey…it’s as well to be prepared. We stopped for a breakfast of some sandwiches I had made at home at a drinking fountain, which I think was Col et fontaine de Bentarte. We crossed from France to Spain without any ceremony or discernible markings and walked through some wonderful beech forestry towards the summit at Col de Lepoeder. From here we took the steep path down to Roncesvalles which was treacherous at times, but shaded. An alternative, longer path, was used by many others who found it much easier. The plants and tress are very familiar to me which I find surprising, and I spend a lot of time just watching nature as I wander along. We arrived into the old monastery before 12 noon. Although hot, Joel was keen to move on. I on the other hand wanted to stay, to rest and soak up the atmosphere of the place. We had a beer at a local bar, and then lunch at another spot and at 2pm were were able to check in to the albergue. After a shower and a wash of our clothes we got them onto a clothes line outside and then I went for a siesta. Joel to the bar. At 6pm there was mass in the beautiful nearby church which many of the fellow pilgrims attended and afterwards two choral groups performed a concert. By 8pm I was tired and longing for bed. Looking forward to another days walking. The laundry was dry, so I laid out the following mornings clothing, packed everything else away and got a great nights sleep. At this point the rhythm of the road is starting to settle in. Up early, pack away, fill the drinking bottle and out walking. A stop for a coffee and a small sandwich (Bocadillos) or a slice of omelette (our favourite I think and came in many varieties and locally called Tortillas) after a few hours walking. By lunch we were either at our destination or settling down to a siesta and doing an extra few kilometers in the evening. Today was such a day and we arrived about 4pm in Larrasoana, tired and hot. The heat is becoming a real factor, and it was only later that evening when we got talking to a Spanish walker named Ramon that we realised how extreme. It had reached 37 degrees during the day. Ramon was saying it ten degrees hotter than normal, and we should walk accordingly. Our fellow walkers are an interesting bunch and we are both quick to say hello and get at least on first name terms. Some you get to know briefly never to see again, others are with you for a few days at a time. Some I avoided; a man in a monks robe with Mother Theresa emblazoned front and back, others I welcomed if only for a yard or two along the way. Many names stay with you, many stories, and many more you can only speculate upon. I tried to be never nosy, always willing to lend a hand, sure in the knowledge that it is returned in spades. I came upon John Paul today, he was dazed, and lost on the high hills outside of Zubiri. All around us the smell of pine was intoxicating, but my new Italian friend was oblivious to it. He had become overcome with heat and had turned back up the hill, fearful he had become lost. After rest, and a drink and my reassurance we set off down the path. He held on at the steep parts, and slowly we wound our way into the town where he quickly found a fellow countrywoman who took him in charge. I often thought of him after. Dinner was problematic that evening as the menu was far from appetising in the local bar. Many of our follow walkers refused the Pilgrim Menu, including Joel who opted for a burger off the main menu, which left a lot to be desired, but the bottle of wine he ordered, helped it all slip down and I was happy to join him in that. The pilgrim menu seems to divide opinion. Some say it is just a slapped together meal of whatever is cheap and handy, but it is usually €10 and with three courses including wine, it will at least fill you up. Many times we went for something lighter but for about the same cost. On occasions when we did have it, it was indeed hit or miss. An interesting thread here on the same topic. I’m also unsure about the benefits felt by locals of us walkers. We don’t buy much, most of us are on a strict budget, and even if there was something that you fancied, how would you carry it, when everything goes on your back. (there is a bag collection service available at the albergues, and I counted no less than 4 companies offering it in one place. Basically for €5 your bag can be collected and dropped off at another albergue at a set distance, I think 25km was the limit) As I walked I became more conscious of how we are perceived by locals. In many cases I think we are tolerated as we go, but perhaps would not be missed. I was careful to always say Bunos Dias or Hola, and generally this was returned, but how would I feel if hundreds of walkers passed me every day as I worked in my vinyard! What do we bring to the Camino, rather than take from it. A question I have left unanswered. And on we went in that rhythm. Pamplona was wonderful to visit and though we had the look around it was very touristy and we were keen to be on the road. We walked later that evening towards Zariquiegui as the sun beated down on us and at one point found blissful shade under an old knarelled olive tree. There we rested and chatted away about how easy it would be to sleep right there. Sleeping outside was becoming a real thought, the heat was getting more uncomfortable as we went on, and even at night the temperature never went so low that you would want to creep inside a sleeping bag. Continuing on we found two albergues in the village and so slept another night indoors. The following morning we made an easy climb to Alto del Perdon and got a photo of the rising sun against the Monumento Perrgrino. We made Estella that day as we had the sun behind cloud for much of the morning and so felt energised after the interminable heat. It came out as we entered Lorca and those last 3.7km were a struggle, but a shower and a rest in the very airy municipal albergue soon put us right. The following morning we visited the Irache wine fountain, and weaving our way through fellow pilgrims became a bit of a bother. Many appeared to be out for a day trip, wandering along chatting in Spanish, a small back back and walking sticks in each hand creating extra hurdles for us to pass. We chose Brierley’s alternative path over the hill, through the nobel firs and down into Luquin where we breakfasted and then took on the long unshaded path to Los Arcos. Pure drudgery in blinding sun. I counted two trees on the road and a roadside cantena for a water stop. We were parched by the time we made Los Arcos, but really enjoyed the beautiful church in the town square. We rested up after lunch before setting out for Torres del Rio, a road I have to say that tried me to the core. Again blinding heat, endless wheat fields, and although there was a promise of rain on the far away hills, nothing but a whisp of a breeze occasionally reached me. Joel had powered on ahead. My walking companion and I are completely incompatible. I choose shade, he wants sun, I love cool, he loves heat, I like to eat at lunch time, he prefers food in the evening, I like to be up early and in bed likewise, he wants to sleep in and be out all night. Arriving at Torres del Rio that evening I was wrecked, but Joel was wondering if I was up for another 10km. That path tested me to my core. All along I had been drawn to nature, marveling at the little things, wild flowers, streams, natural fords, field patters, a solitary robin on a blackthorn tree, lines of ants across the dusty roads, dragging wheat kernals back to their colonies. Always mindful to step over them, that afternoon as my feet began to drag, I started to loose interest. Away to the south I could see huge cloud formations and dreamed of the rain it was dropping somewhere, perhaps 50km away. As my mouth dried, and my eyes stung with sweat and my feet started to blister I had only one thought which was to lie down and rest. And then out of the corner of my eye I spotted the one thing that I had wished Joel was here with me for…a si gaoithe, a fairy wind. It picked up right in front of me in the road, whipping up the dust into a spiralled colum and dropping it again seconds later. I was disappointed at how quickly it had started and finished. And then it happened again, this time in the newly mown wheatfield. The straw was whipped up and carried skywards and slowly as the momentum in the updraft dissipated the straws floated down around me. I felt blessed to have seen it, and then sorry that Joel was so far on that we could not share it, like we had when he was only a boy all those years before in a fishing boat on the Suir. The scene spurred me on, and later when we met up he was as happy as I was to have seen a similar event further along the road. That night the heat really got to me, at 1am I walked out in my shorts and lay down on a bench, but the heat was all around me. I was dressed and walking by 5.30am and had told Joel I would meet him in Logrono. I reached it at 11am, Joel was ten minutes after me, having slept until 7am. After another night of lying in oven-like conditions, we decided to head to Bilboa and some air. Sorry to leave the Camino behind, but happy to be heading back towards the family. A water bottle for drinking – drinking fountains were in every town and village we passed through, the water is perfect, no need to buy it, we topped up at every fountain we came to. a toilet roll – what was I thinking?? 2. Footwear. We both wore walking boots which were well broken in and comfortable. I can honestly say however, that runners (or even walking sandles in the vast majority of places) would have sufficed for everywhere we walked. Perhaps the weather conditions played a crucial role in this. 3. Budget – set a budget of €30 per day each. Easily kept to and it would be relatively easy to stay at €20 as my appetite was not so large in the heat. We paid between €6-15 for a bed which included showers, toilets, kitchen in many cases and laundry facilities (in some cases this was just warm water and a clothes line). The Pilgrim menu was generally €10 and a beer or glass of wine was just over a euro. Water was freely available on the route. A small breakfast cost about €3.50 including coffee. 4. I miss the walking and the company. Hard to say it but turning away from the Camino was harder than I made it sound in my conclusion. I loved the rhythm of the road. I loved being in nature, of looking ahead to a new turn in the road and what it would bring, to meeting new people, to sharing a hostel, a shade break, a meal with folk who were on the road with me. I enjoyed having to think of nothing but my journey, enjoyed not having social media, no phone calls, no work. It was a freedom to concentrate solely on walking, I found it relaxing, peaceful and indeed joyful. The Camino gave me a wonderful feeling, one that I sorely miss, and one I want to get back to as soon as funds will allow.